If you still haven’t taken down the bunting from your viewing party of William and Kate’s wedding, chances are you’re an anglophile. “What garden gloves would the Queen Mother choose?” you ask yourself as you stroll down the garden center aisle at Walmart. Well, I don’t know what brand of garden gloves she fancies--and I don’t think she shops at Walmart--but, I do know what the gardeners at Buckingham Palace wear on their hands. Created in 2004 by Peter Cooney, Gold Leaf Gardening Gloves, are suppose to be England’s most sought-after gardening gloves. 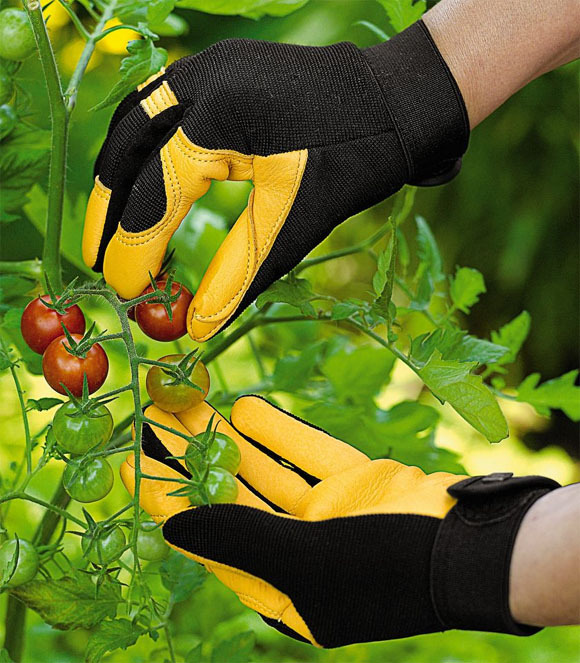 These gloves are used by professional gardeners at the Royal Horticultural Society’s Wisley, Rosemoor and Harlow-Carr gardens. "All of the Gold Leaf range are, in fact, endorsed by the Royal Horticultural Society, whose patron is the Queen," said Peter Cooney in a press release issues by Gardener’s Supply Company. Gardener’s Supply is now offering all four of Gold Leaf’s designs. They’re supposed to solve the problem of “stiff, uncomfortable, ill-fitting gloves” by being crafted from high quality leather. If the only thing you like stiff is your upper lip, check out the Gold Leaf Garden Gloves. Prices range from $38.95 to $49.95. When will bad boy Harry find true love and settle down? Did someone play a cruel joke on young, beautiful Kate by slipping in a painting of Celine Dion where Kate’s portrait is suppose to hang at the National Portrait Gallery? You can ponder these questions while you wear your fancy English garden gloves, and sip tea in your fancy English-themed garden. I know I would. Nice! Did you try a pair? If so, what do you think? Garden Broad, No I haven't had the chance to try these gloves. I'll probably hunt a pair down this summer to see what the fuss is about though.